Olympic champion Usain Bolt recently made waves after training with Borussia Dortmund. However, his fellow Jamaican Leon Bailey would’ve liked to see him don the Bayer Leverkusen jersey. In a recent live chat with fans of the club, the speedy winger explained why he could not get his close friend to try out for the Werkself instead. Bolt has stated that he’s serious about breaking into professional football and his partnership with Dortmund is much more serious than initially thought. "I’m actually going back to Dortmund in a couple of weeks to work with them for three more weeks just to assess myself at a better level - to see what level I’m at or what I need to do, or if I can," revealed the fastest man on Earth recently. When asked if he could have talked the Olympic legend into joining Leverkusen instead, Bailey offered a blunt answer: "It was his own decision." Although he acknowledged the role that Bolt and Dortmund’s common sponsors played in the decision, the forward revealed a more personal reason for his countryman to choose the Black-Yellows. "He likes Dortmund, I think they’re his favourite team in the Bundesliga. There was no stopping him from going there." Bailey was also full of praise for his teammates and the environment around the club. "I think I’m an important player for the team," said the Jamaican. "I feel good here. The other players are motivating me and making me feel comfortable. The coaches as well and of course the fans." In particular, his chemistry on the field with Julian Brandt seems to excite the winger the most. "Whenever we play together, we’re like Tom and Jerry, we do whatever we want," explained Bailey. "We try to just have fun. If I’m on the left side and I switch, he automatically moves there. We’re always changing." 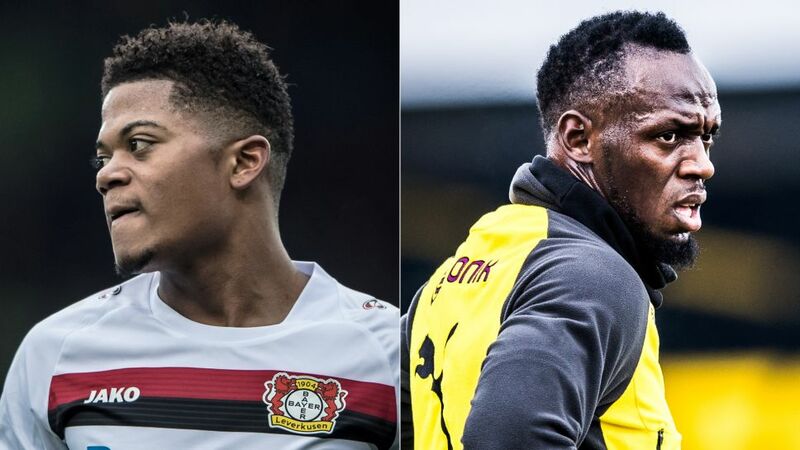 With nine Bundesliga goals for Bailey and eight for Brandt in 2017/18, the Leverkusen fans will be more than glad to hear that their young dynamic duo are getting along. Even more so with games against Werder Bremen and Hannover set to determine whether or not the Rhineland club will be playing in the UEFA Champions League again next season.